Do Certain Breeds Require More Exercise Than Others? Exercise is similar to diet. 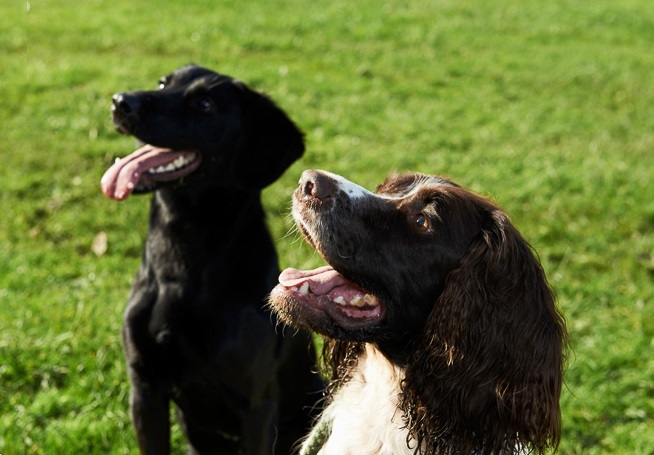 Ultimately each dog is an individual and will have specific, individual needs independent of their breed and more relative to their age and individual character. It goes without saying that breeds such as a Saluki will require a different regime to that of a Bulldog, however, don’t be too caught up with some of the breed myths about exercise requirements for some of the more misunderstood breeds such as Greyhounds and Whippets. Exercise – When It Comes To Exercising Your Dog, How Much Is Needed? In humans, the importance of exercise has been proven time and again. But what about our canine friends? Is it enough to just feed them properly and give them occasional walks? What are the benefits of exercise to dogs? All dogs need exercise. Studies as well as experience have shown that dogs who are getting adequate exercise are healthier and happier. They are also more social when they are in public places. When dogs are given regular exercise, they are more calm at home and are less restless when left alone. However, just like feeding, choosing the right amount of exercise for your dog should depend on several factors. These factors are age, size, and type of breed. Age: Puppies require daily exercise for proper muscle development. Their high energy levels need to be released in some form of constructive activity, and giving them their daily exercise is the best way to do it. Not being able to release their pent-up energy can lead to destructive behavior such as chewing or digging. 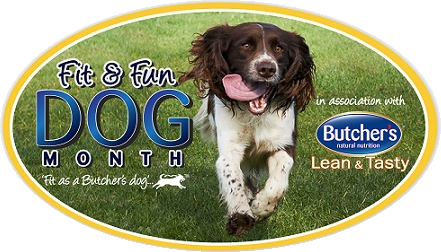 On the other hand, a mature, aging dog needs less exercise because of their lower energy levels. Size: Large dogs do not necessarily need more exercise than small dogs. In fact, many large breeds like the Mastiff or Great Dane would rather relax and sit on the porch all day then go out for a 2 mile run. Nevertheless, they also need their daily exercise, perhaps one or two 30 minute walks everyday. On the other hand, many types of small breeds such as the Jack Russell Terrier or Chihuahua still keep on going even after a three-mile walk. Type Of Breed: Your dog’s breed is a contributory factor with regard to the amount of exercise required. For instance, dogs that were originally bred to herd such as the Australian Cattle Dog, Border Collie, and German Shepherd need to be exercise daily. Another example of a breed that requires daily exercise are those that were originally bred to hunt (hunting dogs). Examples of these dogs are the Beagle, Chesapeake Bay Retriever, and German Hunt Terrier. And finally,sled dogs such as the Siberian Husky, Samoyed, and Alaskan malamute share the same high level of energy as the herding dogs and hunting dogs. Prevention is better than cure: Some owners are worried about seeking advice for their overweight pet for fear of being judged but preventing obesity is much easier than getting a pet to lose weight. A good diet when a pet is young is essential – fat puppies and kittens are more likely to become fat adult pets due to the number of fat cells they produce while growing. 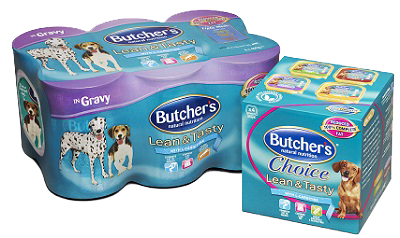 Balanced diet: Weight loss requires a combination of the right natural dog food diet and the right amount of exercise. Many owners feed ‘by eye’ and it’s easy to accidentally overfeed pets, so use scales to weigh out the daily food allowance each morning. Follow packet feeding guidelines or ask your vet about correct amounts. 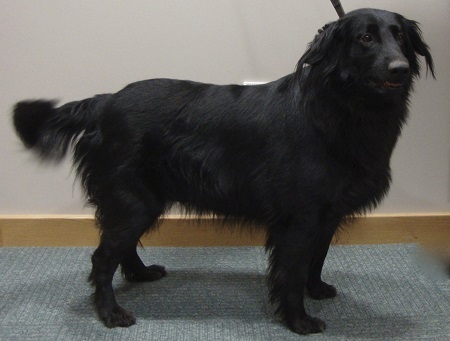 Lucy, a 4 year old flat coated Retriever has always been an active family dog and enjoyed exercising keeping up with the families’ two horses and two other dogs. Despite attempts by Lucy’s owner, Gina, to manage her weight by reducing the amount of dry food given, she still gained weight prompting Gina to look to another diet to help her loose weight, as exercise wasn’t the reason for weight gain. 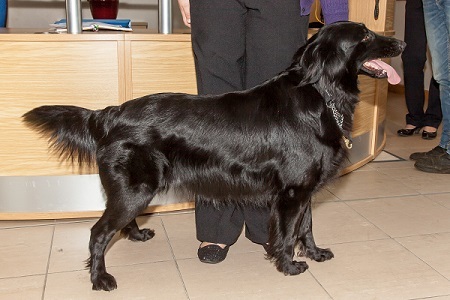 After a 16 week trial being fed on Butcher’s Lean & Tasty, Lucy lost 5.8kg and regained her glossy coat and waistline! Ultimately your individual dog will have specific exercise requirements that apply to them as an individual. Speak with your vet about getting an all round health check where you can also discuss individual activity requirements for your dog, no matter what the breed.